Gundappa Ranganath Viswanath pronunciation (????? : ??????? ?????? ????????) (born 12 February 1949 in Bhadravathi, Karnataka, India) is a former Indian cricketer. He was one of Indias finest batsmen throughout the 1970s. Viswanath played Test cricket for India from 1969 to 1983 making 91 appearances and scoring over 6000 runs. He also played in One Day Internationals from 1974 to 1982 including the World Cups of 1975 and 1979. At state level, he played for Karnataka (formerly Mysore) throughout his career. Viswanath, popularly nicknamed , had an elegant and wristy batting style which emphasised timing rather than power. Though he had a complete repertoire of shots around the wicket, Viswanaths favourite was the square cut, a shot he often used to great effect against fast bowlers. He usually fielded at slip position. On his Test match debut, Viswanath scored a century against Australia at Kanpur in 1969 in a drawn match. He also recorded a duck in the same game, one of only three batsmen to have done this in their first match. He scored 13 more centuries in his Test career and none of them came in a match that was lost. He tended to produce his best performances on difficult pitches and a number of his best innings were not centuries, but were crucial to the teams cause. Against Australia and the West Indies, both known for their strong pace attacks, he had a batting average of over 50. He was at his peak in the mid-1970s. Against the West Indies at Madras in 1974–75 he scored 97 not out out of a total of 190 against a bowling attack containing Andy Roberts. Despite not being a century, it was regarded as one of the finest performances by an Indian and it led to an Indian victory. The Wisden 100 ranked it the 38th best innings of all time, and the second best non-century. He had also scored a match-winning century in the previous Test at Calcutta, but despite a 95 in the final Test at Bombay the series was lost 3–2. In 1975–76, Viswanath again produced some strong performances against the West Indies, the most notable of which was his 112 at Port of Spain which helped India to reach the victory target of 403. At the time, this was the highest successful run-chase in Test cricket. In 1978–79 at Madras he again top scored with 124 out of a total of 255. India went on to win the match which ultimately led to a 1–0 series victory in the 6-match series, although this West Indian side was considerably weaker than in previous series after many players opted to play in World Series Cricket instead. In the 1982–83 season Test Series in Pakistan, Viswanath was part of the team which lost the series 3–0. Viswanath was one of the Indian batsmen who did not fare well against the blistering pace of Imran Khan who was arguably at his peak in the series, snapping 40 wickets. This series proved to be Viswanaths last. Vishy also had a brief stint as the Indian captain in 1979–80. In the two Tests he captained, one was drawn and one was lost, the latter being the Golden Jubilee Test against England. 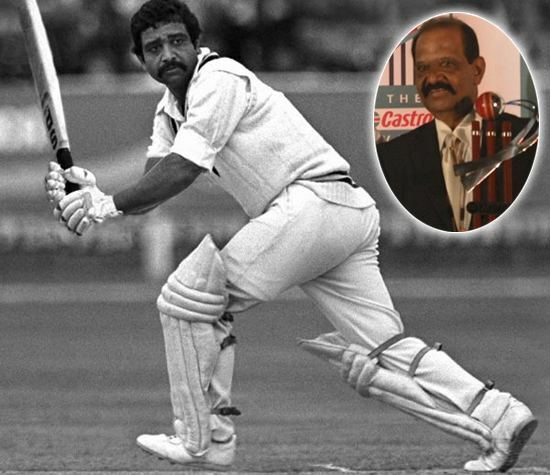 Throughout his career, Viswanath was renowned for his sense of fair-play, and in this match he recalled Bob Taylor to the crease after the umpire had already given him out. Taylor went on to score some vital runs for England helping them to win the match. 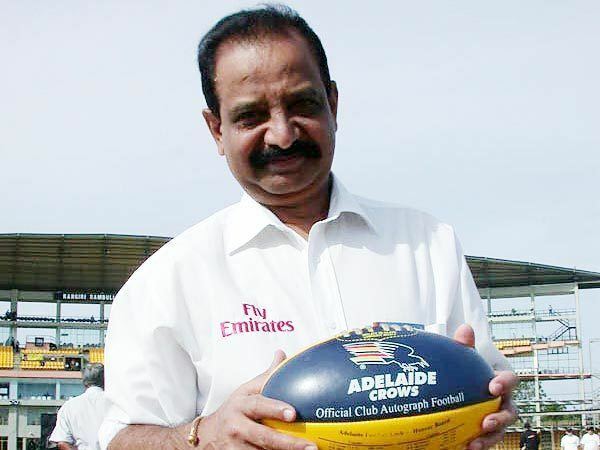 Viswanath retired from Tests in 1983, and later served as a match referee for the ICC from 1999 to 2004. He was also the Chairman of the national selection committee, and also served as the manager of the Indian cricket team. He is also involved in cricket coaching at NCA. He is married to Kavita, sister of Sunil Gavaskar and with their son Daivik reside in Bangalore, India. Gavaskar named his son Rohan Jaivishwa Gavaskar –First name for Rohan kanay ( former west indies captain) the middle name honouring Jaisimha and Viswananth.